HITB2010 Amsterdam is over!!! Thank you for your support! Our first ever HITBSecConf in Europe is over! A big big thank you to all our sponsors, speakers, crew, volunteers and of course attendees who made it over to join us!!! We hope you enjoyed the event as much as we did in putting it together! We’re already planning for 2011 and the tentative timing is mid May (stay tuned to our @hitbsecconf twitter stream for all conference updates). Conference materials can be downloaded from http://conference.hackinthebox.org/hitbsecconf2010ams/materials and photos from the event will be released on http://photos.hackinthebox.org in about 2 weeks time. /dev/random » Censorship Does Not Increase Security! #HITB2010AMS – Online registration is closed! 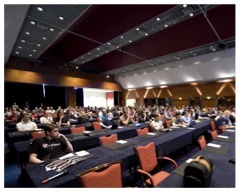 The online registration for HITB2010 Amsterdam is now closed. Walk in registrations at the Conference Desk at the NH Grand Krasnapolsky are still accepted with either cash or on-site credit card payments. Do note that the official hash tag for HITBSecConf2010 – Amsterdam is #HITB2010AMS – Come see your tweets fly around our on-site Twitter wall! See you in Amsterdam!!! - Access to the invite-only HITB Post Conference Party! 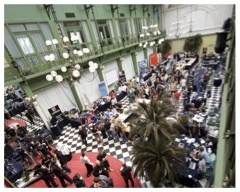 HITB2010 Amsterdam in the news – See you next month! Tom’s Hardware (Italy): Windows 7 e Mac OS ancora a rischio, che falle! WebNews (Italy): Windows e Mac bacati alla radice? If you are a member of the press (print, online, television) and would like to request for a press/media pass to HITBSecConf2010 – Amsterdam, kindly contact Ms Belinda Choong – cbelinda@hackinthebox.org or dhillon@hackinthebox.org for further details. Welcome to the official homepage of HITBSecConf2010 – Amsterdam – the FIRST EVER HITBSecConf in Europe!!! From our humble beginnings in 2003 with HITBSecConf – Malaysia our event series has grown to not only cover Dubai in the Middle East but our new home in Amsterdam, The Netherlands! The main aim of the HITBSecConf conference series is to create a truly technical and deep knowledge event in order to allow you to learn first hand on the security threats you face in todays super connected world. The HITBSecConf platform is used to enable the dissemination, discussion and sharing of critical network security information. Presented by respected members of both the mainstream network security arena as well as the underground or black hat community, our events routinely highlight new and ground-breaking attack and defense methods that have not been seen or discussed in public before. 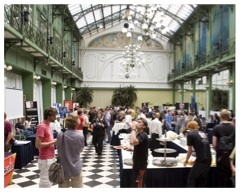 HITBSecConf2010 – Amsterdam will also be a landmark event for us being the first HITBSecConf to feature 4 TRACKS! In addition to the usual Technical Track 1 and Track 2 we’re also bringing our popular HITB Lab sessions and an all new Lightning Talk segment to the Amsterdam conference. HITBSecConf2010 – Amsterdam will also feature a two-man team based Capture The Flag Live Hacking competition, an Arduino Village, a Hackerspaces Village (with participation from spaces in Utrecht, Den Haag, Brussels, Paris, Vienna and our very own Hackerspace Kuala Lumpur in Malaysia!) In addition to the above, members from TOOOL.nl will be on hand conducting a lock picking village and a hands on lock picking lab as well. There are only 500 seats available for this first ever event and we encourage you to register early! Student pricing for the conference (1st and 2nd July) is only EUR 250!